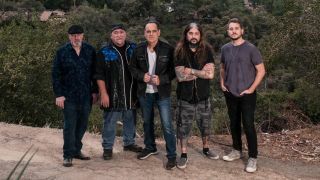 The Neal Morse Band have premiered their video for the track I Got To Run exclusively with Prog. It’s the latest song taken from their upcoming studio album The Great Adventure, which will launch tomorrow (January 25) via Radiant Records/Metal Blade. The band previously released the title track, along with Welcome To The World, Welcome To The World 2 and Vanity Fair. Speaking previously about the record, Morse said: “This band continues to amaze me! I have to say it was a little daunting to follow up The Similitude Of A Dream as it was such a special album and it delivered every night at our concerts, but I believe that The Great Adventure will have a tremendous impact as well.